NEW YORK, 7 Feb (IPS) – Wafaa Bilal hasn’t had a decent night’s sleep in about two months. 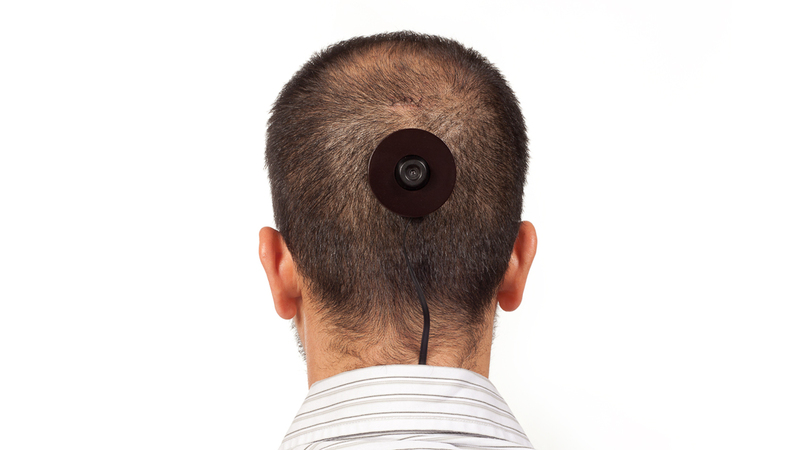 After becoming the first person to have a camera surgically implanted into the back of his head, the Iraqi- American artist is learning the hard way just how much of a headache modern technology can be. “It’s still painful,” he tells IPS, pointing to the three titanium bolts that have been inserted into his cranium to hold the camera in place. Bilal undertook the dramatic operation as part of a year- long project entitled 3rdi. 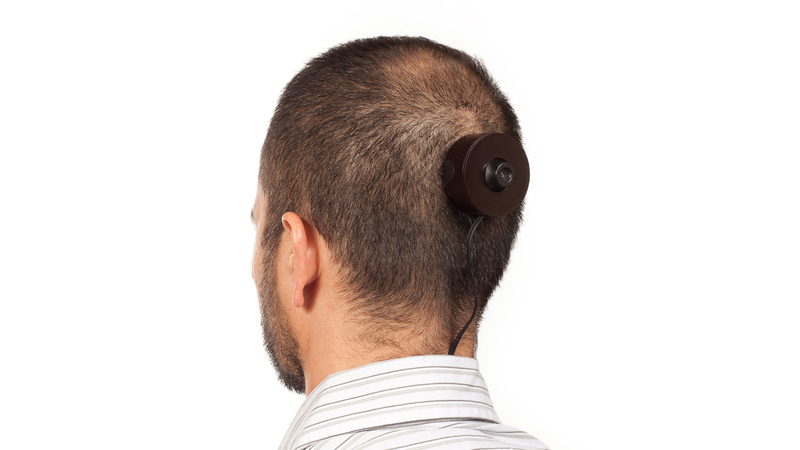 The camera takes photographs every minute of the view behind Bilal’s head. The images, comprising everything from uninspiring shots of his kitchen cupboards to unnerving angles of objects and passers-by, are then uploaded onto the 3rdi website and streamed to Qatar’s newly inaugurated contemporary art museum, Mathaf. 3rdi is, in many ways, a reflection of Bilal’s own traumatic experiences of loss. Having been raised in a conservative family under Saddam Hussein’s tyrannical rule, the soft- spoken artist was forced to flee during the Iraqi invasion of Kuwait after publicly rejecting his conscription into the army. He spent two years living in a makeshift refugee camp in the Saudi Arabian desert before being granted asylum in the United States. Since unveiling the project, 3rdi has evolved to speak about many other aspects of modern life, such as government surveillance of its citizens (the camera tracks Bilal’s whereabouts via GPS) and the aggressive intrusion of technology. It’s not the first time Bilal has used his own body as his canvas. Physical intervention has been a central, and often controversial, feature of much of his work. In 2010, Bilal held a 24-hour performance in which he had the names of Iraqi cities tattooed on his back. More than 100,000 dots marking Iraqi casualties were also tattooed on with invisible ink, symbolising the anonymous victims of a war that most Americans feel so far removed from. Bilal also has plans to tattoo on some 5,000 dots in homage to the U.S. soldiers also killed in the U.S.-led war. For an earlier project, called “Shoot an Iraqi/Domestic Tension”, Bilal confined himself in a prison-like cell for 30 days and was subjected to the whims of his audience, who could shoot a remote-controlled paintball gun at him from the internet or gallery. Following newspaper articles about the project, hackers infiltrated the software and programmed the gun to shoot at Bilal once every minute. “The hope is you build a platform not to engage those already engaged in political dialogue,” but to attract those who typically shy away, he says. It seemed he succeeded in that attempt: by the end of the exhibition, over 65,000 people from more than 130 countries had fired at Bilal. His work became more overtly political following the killing of his younger brother by a U.S. drone missile in Iraq in 2004. Bilal says he wanted to bring people living in “the comfort zone” into the realm of the “conflict zone”, Iraq. With that goal in mind, the artist has also subjected himself to water boarding, the simulated-drowning torture technique former U.S. president George W. Bush notoriously admitted to using in Iraq. It may be another 10 months before Bilal can enjoy a proper night’s rest again, but if having eyes at the back of his head has taught the artist anything, it is to savour the present more. 3rdi is online until December 2011.